Periodontal disease, also known as gum disease, is one of the largest threats to a patient’s oral health—leading to gum recession and tooth loss if it is left untreated. Many patients assume it is solely the result of poor oral hygiene, but there are other factors that play a role into the health of your teeth and gums. One of these factors is nutrition and dieting—you can learn more about how what you eat and drink plays a part in your oral health. The leading cause of plaque buildup is sugar and other refined carbohydrates on a person’s diet. By consuming these foods, it creates an acidic environment which is the perfect arena for plaque forming bacteria to grow and thrive. Not only that, but sugar consumption also lessens your immune system which makes your oral health more susceptible to periodontal disease as you lack the vitamins needed for healing. Even alcoholic drinks play a role in periodontal disease—causing patients to have an increased risk for as a result of reduced levels of B vitamins, blood clotting inhibition, and bone formation suppression. Alcohol consumption also causes your mouth to be dehydrated leading to the bad bacteria not getting easily washed away by saliva—resulting in faster plaque formation. While good oral hygiene and plaque control measures are vital to treating periodontal disease, there are nutritional therapy options as well. First, it is important to nail the basics like eating fresh, natural roods like fruit, beans, seeds, vegetables, fish, and whole grains. 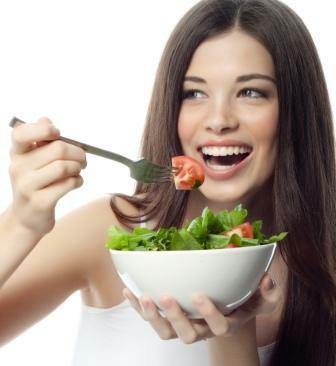 High fiber can be good for you as well as it promotes saliva which is vital to protecting your teeth form gum disease. You’ll want to avoid damaged fats, alcohol, salt, and artificial foods if possible as these contribute towards plaque accumulation. Sugary and acidic foods and drinks can be one of the leading causes of periodontal disease—making a balanced nutrition crucial to keep your oral health in good condition. If you have any immediate questions about nutrition and the impact it can have on your oral health, feel free to reach out as we would be happy to help you. If you would like to make an appointment, our trained periodontists based in Phoenix can discuss with you your specific nutritional habits and needs to ensure that you’re eating right to keep your mouth happy and healthy.